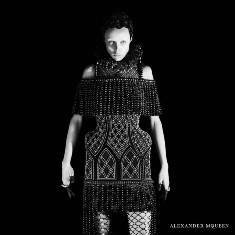 Soooo… have you seen the latest collection photoshoot from Alexander McQueen? The fall 2013 campaign, starring British model Edie Campbell, dropped only days ago and these get-ups are inteeeeeense!! 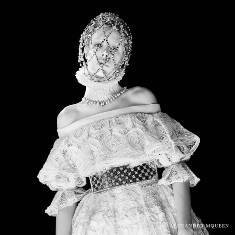 Definitely not what I would call ready-to-wear, but still gorgeous; this collection has been inspired by Catholicism and the Virgin Queen Elizabeth I (amongst other things), and is a true spectacle. Think pearls, feathers, bodices, headwear… and lace. So much lace. Check out my selections below, or you can view the full campaign here. So you think you’re a hipster? : cautionary case studies from the city streets / Kara Simsek ; with illustrations by Paul Parker. 50 insightful entries examining the self-proclaimed urban elite. Skinny jeans? Check. Charity-shop clothing? Check. Non-essential prescription glasses? Check. Beanie balanced artfully on the back of your skull? Check. These items have become the uniform for a new breed of young people – hipsters – determined to take over cities with their “alternative” ways whilst overloading on irony and striving to be original and creative. So You Think You’re a Hipster? examines what it takes to become one of this ever-growing tribe of middle-class urbanites, just as desperate to be accepted by their peers as they are to receive the next rent cheque from mum and dad. 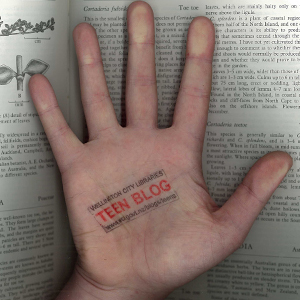 Over the following pages a series of hilarious case studies will identify typical examples of the subculture, helping you to avoid any future encounters with them. Take thrift-store guy, who at 35 still works selling worn sneakers and threadbare t-shirts for extortionate amounts and still dreams of one day getting his latest album reviewed on Pitchfork. Or the aspiring author who lugs around an oldfashioned typewriter to write down her inspirational musings at a moments notice. Then there’s ironic moustache man whose facial hair makes him feel like a highly individual fashion maverick, despite the fact all his graphic designer friends have one, too.